Red Hill Toyota | Blog | Have you Met the New RAV4? Have you Met the New RAV4? The all-new RAV4 Hybrid is built around a Toyota Hybrid Synergy Drive that’s been uniquely optimized for this compact SUV. But how do you choose between the RAV4 Hybrid XLE and the RAV4 Hybrid Limited? Let’s take a look. Heated Steering Wheel, chrome door handles and LED lights. The RAV4 Limited model may be further enhanced with an available Technology Package, which adds Toyota Safety Sense – combining a pre-collision system with pedestrian detection, forward collision warning, lane departure alert, auto high-beam and dynamic radar cruise control. All RAV4’s have received numerous enhancements for 2016, but its introduction of the all-new sporty SE that’s got long-time enthusiasts ready to get out there and play. Three selectable drive modes (Normal, Sport and ECO). Models include the SE Grade AWD, LE FWD, LE AWD, XLE FWD, XLE AWD and Limited AWD. Front wheel drive models deliver impressive fuel efficiency of 8.9 litres/100km (city/highway combined), while the all wheel drive models feature Toyota’s active torque control system. Toyota Blind Spot Monitor and Rear Cross Traffic Alert systems. For a fresh sporty look, the new RAV4 SE also features aesthetics like unique Sport Trim including a black headliner, door trim and black exterior mirrors. The RAV4 LE FWD (Starting MSRP: $24,990) and RAV4 LE AWD (Starting MSRP: $27,255) are enhanced for 2016 with rear privacy glass, blind spot convex mirrors and variable intermittent front wipers. An upgrade package is available to either, which includes a 6.1-inch Display Audio System with six speakers, a back-up camera, silver painted roof rails and more. 4.2-inch multi-information display and Toyota’s Blind Spot Monitor and Rear Cross Traffic Alert systems. A tonneau cover, chrome inner door handles, soft-touch instrument panel with stitching, 17” aluminum alloy wheels, a power moon roof, the automatic headlamp system, fog lamps and more. LED headlamps, daytime running lights and tail lamps. 8-inch aluminum alloy wheels, chrome exterior door handles, a rear bumper protector, a power moon roof, fog lamps and more. For complete and up-to-date details and specifications, visit www.toyota.ca/rav4. 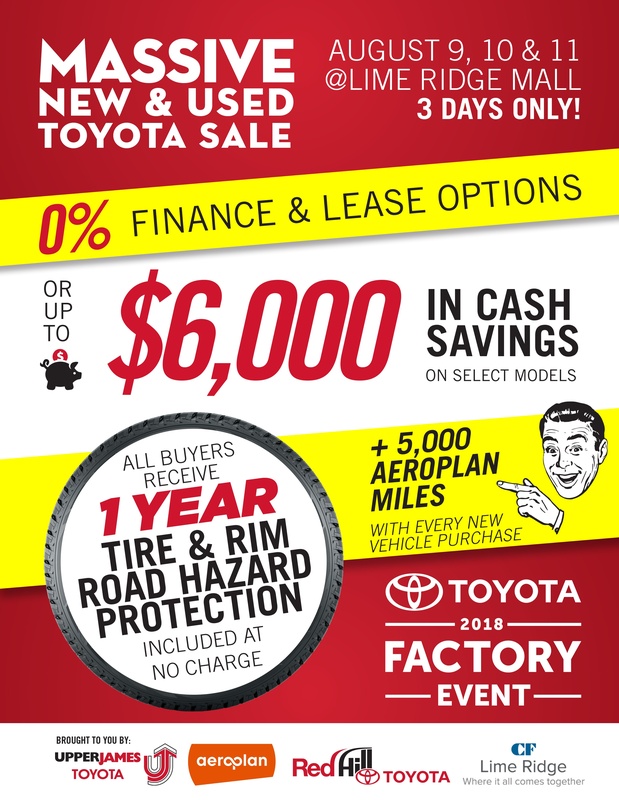 Come in today to test drive the 2016 Toyota RAV4 and RAV4 Hybrid.